Office space prices ranging from $250 - $5000 per month. This shared office space consists of 12 separate semi-enclosed cubicles. Close to the city in the sought-after Victoria Park, the all inclusive fee structure means you can start working with the least amount of fuss. Members of the space benefit from an impressive range of business facilities and support services, including reception services, ample free street parking and access to modern meeting rooms and boardroom. 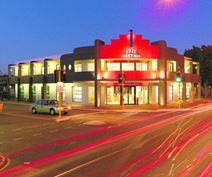 This office space is in the heart of the sought-after East Victoria Park, close to the city. Members of the space benefit from an impressive range of business facilities and support services, including company signage, street parking and access to modern meeting rooms and boardrooms. The office is surrounded by various means of transport such as the Carlisle train station which is only twenty minutes walking distance from the office and local buses stop right out the front of the building. The design of this office space is pleasing to the eye and mind to guarantee you are motivated and driven at work. Extremely well-placed location, occupying a prominent position on the corner of Burswood Road and Craig Street, less than 400 metres from the intersection of Canning Highway, The Causeway, Albany Highway and Shepperton Road. A short walk to Victoria Park bus station which provides easy access to Perth CBD. The ground floor lobby and first floor facility were refurbished in July 2018. This space comprises a number of private offices and open plan co-working cubicles as well as generous break-out and collaborative spaces and three purpose built meeting rooms. With great amenities like 24/7 access and security, parking, access to other centre locations around Perth, administrative support, package and mail handling as well as bike racks and end of trip facilties, you need not look further for your new office space. Situated in the vibrant area of West Perth, this impressive centre is surrounded by a wide range of local amenities – cafes, pubs and eateries line the surrounding streets, offering clients plenty of options for grabbing lunch or entertaining clients. The centre offers both small personal offices and individual desks within a co-working environment alongside an inclusive list of facilities and services. This modern building is located in the Free Transit Zone in a prime business location. This energy efficient building provides offices in a comfortable business environment, and is close to many fine shops and restaurants. The office-space provides a wide range of useful services including meeting rooms, reception services and parking facilities. Additionally, the centre exhibits large amounts of natural light due to the open-plan nature of the offices which is paramount in maintaining a comfortable and positive environment for employees. Lastly, the work-space is fully furnished with high internet speeds and great accessibility making it the perfect location to conduct business. This two storey building offers a modern, fully catered reception and beautifully furnished offices providing high-class accommodation. Situated in the heart of Subiaco, this centre offers access to all amenities such as restaurants, cafes and bars, financial facilities, entertainment venues and parks with excellent access to public transport links. Providing ready office solutions at an affordable prices, this centre has everything your business needs to grow and be successful. This stylish contemporary building was recently refurbished and has an entrance that definitely makes a statement as a first impression for your guests. Fully secured, this building has undercover parking for both centre clients and visitors, with disabled access, plus end-of-trip facilities. Located on the border of the City and West Perth's central business districts, this building is just a 10-minute walk to Kings Park. Located in the centre of Fremantle, these fully furnished 2-man offices have excellent facilities, including meeting room, gym, swimming pool and refreshments. Flexible terms and optional parking, with easy access to local amenities and transport. This business centre is one of Perth's premier professional serviced office facilities and is located in Osborne Park, Perth. All serviced office clients and Virtual Office clients have access to a comprehensive range of secretarial services, excellent boardroom and meeting room facilities and a professional, friendly reception service. Ultra modern. Each office is furnished with an executive desk and chair, visitor’s chairs, filing cabinet and credenza. Only 5 minutes’ away from public transport and the freeway. In the heart of West Perth’s vibrant business district this space is directly opposite Totterdell Park and offers a secure and professional office environment. A premium grade flexible and modern fit-out can include office furniture if required or single and multiple offices can also be let unfurnished. The City West train station is within easy walking distance of the space and CAT buses run adjacent to the space. Located in central Perth, just a few minutes away from Claisebrook rail station, this space offers you a variety of solutions to your business needs. From collaborative hot desk coworking space to comfortable private offices, you can choose what works best for you. Reception services and printing facilities are available, and high-speed WiFi and wired internet are included. An on-site cafe is available every day, and for those who like more choice, several cafes and restaurants are conveniently placed just a few minutes' walk away. This is a highly strategic position on Port Campbell Drive near Stockport Road markets. The centre offers modern office space fully furnished on flexible terms to suit your needs. Offices with a wide range of benefits are to let in this modern, stylish building. Meeting rooms, kitchen and shower facilities, common areas and parking spaces are located on-site, and the location offers access to a wide range of South Perth's amenities and transport links. Located St Georges Terrace, in the heart of Perth's central business district, this location is most popular for those in the financial and legal industries, neighboring the oil and gas giants. Providing exceptional luxury with cutting-edge technology, this space best caters to those looking for deserved superior performance. Home to some of Perth's best cafes, restaurants and the high end shopping precinct with transport connections and great end of trip facilities, this is the ultimate location to cater to your work/life balance. Pushing the boundaries of what shared workspaces mean to businesses so you can enjoy collaborative and open plan co-working spaces, private offices, meeting rooms and breakout spaces, all complimented by stunning views. This centre benefits from excellent facilities including basement storage, kitchens and full secretarial support. Large windows offer pleasant and varied views of the area. Located within the oil, gas and mining sector of the CBD, it is near major buildings such as QV1, with neighbours including WMC resources, Chevron and Woodside. It is a short walk to Kings Park and the Perth Convention Centre. Public Transport is readily available and the Perth Domestic and International Airports are only a 30 minute drive away. Offices are available in one of Perth's most prestigious locations. Located in the heart of Perth, close to local transport links and amenities, this business centre is popular with a wide range of professional companies, including legal and financial firms. In an ideal location on St. Georges Terrace, this centre is situated at one of Perth's most sought after business locations. 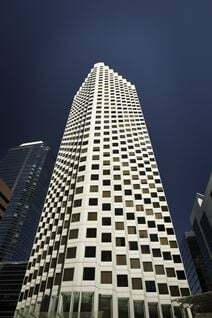 The spectacular building is a landmark in the Perth CBD skyline. The offices are easily accessible, close to train, underground and bus services. The centre offers some onsite parking and there is easy access to several public car parks. Opposite a high-end retail centre with plenty of fashion stores and food outlets, the offices are also close to Hay and Murray Street shopping centres and the Brookfield BHP Billiton Tower. Boasting stunning views and a superb location at the core of the city's business district, this impressive building provides newly refurbished unbranded serviced office space that is ready to accommodate your business. Close to a range of excellent local amenities including a plethora of beverage and dining facilities and retail venues. A centre that offers solutions for all worker types with great facilities for you to use. This centre is based in one of Perth's most prestigious buildings within the central business district and close to many of the country's leading corporations. This is an elegant classical building, with spectacular views and a range of offices to suit your needs. The space is surrounded by a wide variety of local amenities including a high-end shopping precinct, luxury restaurants, cafes and Esplanade Train Station. Situated opposite Perth Concert Hall, this professional office space is designed for coworking with spaces available to rent on a regular basis or by the hour. This centre caters to a wide variety of people, whether you're a freelancer or part of a global team. The space has a wide range of office options for you to choose from, and this collaborative environment supports you and your business. The location of this space is thoughtfully chosen to keep members in close proximity to key business areas in the city of Perth, just a few minutes walk to both Elizabeth Quay and Perth Underground train stations. Prominently located centre, occupying the corner of St Georges Terrace and Barrack Street. 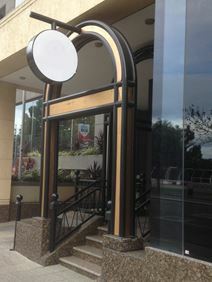 Conveniently located at the centre of Perth CBD with everything you could need available at your doorstep. A newly refurbished space, offering a number of private offices, stylish meeting cubicles, a generous breakout space and two purpose built meeting rooms. On hand, experience personalised call handling, corporate grade internet connection, state-of-the-art end-of-trip facilities and a prestigious address are all on offer here and you and your business will have access to conference facilities, full colour printing, dedicated support staff, and networking events. Combining the worlds of lifestyle and business this center provides a boutique members work-space aimed at business leaders, innovators and industry experts. In the heart of Perth the aim is to offer an inspirational co-working environment to members. The business center is surrounded by an impressive range of local amenities including cafes, fine dining options, banks, gyms and several public transport hubs. The membership benefits include a flexible monthly membership with no lock-in contracts, access to the aforementioned meeting spaces and large boardroom with videoconferencing facilities, high speed fiber optic internet, a concierge who will meet your guests, and copy printing facilities. Make your mark in a vibrant hub of business at Georges Terrace. This superb building is fully furnished and equipped with top of the range services including meeting rooms, parking, on-site cyber café, high speed internet access, video conferencing and voicemail. You can also enjoy amenities after a working day with amenities like a swimming pool, gymnasium, tennis courts and spa. This site is easily reached from the Kwinana/Mitchell Freeway has easy access to public transport like bus stops and the central main line station. Located in the main financial and business district home to the leading gas and oil companies and close to Central Park, Bishop House and Barrack Arch. Offering flexible leases at cost-effective prices, this centre provides a range of serviced office solutions in a secure and professional business setting. Set in a prominent and well-known building in the heart of Perth's CBD, this address is conveniently close to plenty of quality local amenities. A modern and contemporary office space with 6 star styling and fit outs accompanied by magnificent views of the city line, Swan River and Elizabeth Quay. The space features numerous amenities such as a gym, ground floor café, showers, and a kitchen. Flexible terms allow you to find the plan which suits you. Administrative and IT support are accessible. Receptionists are on hand to meet and greet your guests. Virtual office offices are available. Located in the heart of Perth’s legal and financial precinct, Exchange Tower 2 on The Esplanade is where your high-end business needs to be. Easy access to the North & South freeway, Perth CBD and close to all public transport. In the surrounding area there are numerous bars, shops, cafes and restaurants. Elizabeth Quay is just a short walk away. This centre has carefully integrated design and technology such as fibre-optic internet connections to keep you up to date with today’s demands. 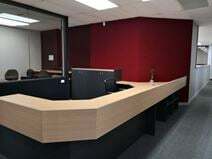 Each office is equipped with state-of-the-art furniture and equipment. When you are working it is essential to feel comfortable and hassle free. These offices are fitted with the latest technology and facilities to ensure that the needs of your business are met quickly and efficiently. Situated in a quiet location with plenty of street parking but close to the busy centre of West Perth. It is close to the many restaurants, banks and other amenities that the area offers and has easy access to the city and freeway road links. 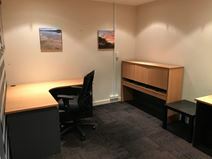 Situated less than 500m from Welshpool Train Station and around 7km from Perth's CBD and 9km from the airport these fully furnished serviced offices and workstations are ideally located for quick access to all the major business districts in Perth. Local bus services operate from Welshpool Road and the nearby Rutland Avenue, access to the Armadale Line and Thornlie Line is available via Welshpool Station.